A death investigation has been opened after a FedEx employee died after an incident at the company's hub near the Indianapolis International Airport on Friday. INDIANAPOLIS — A death investigation has been opened after a FedEx employee died after an incident at the company's hub near the Indianapolis International Airport on Friday. 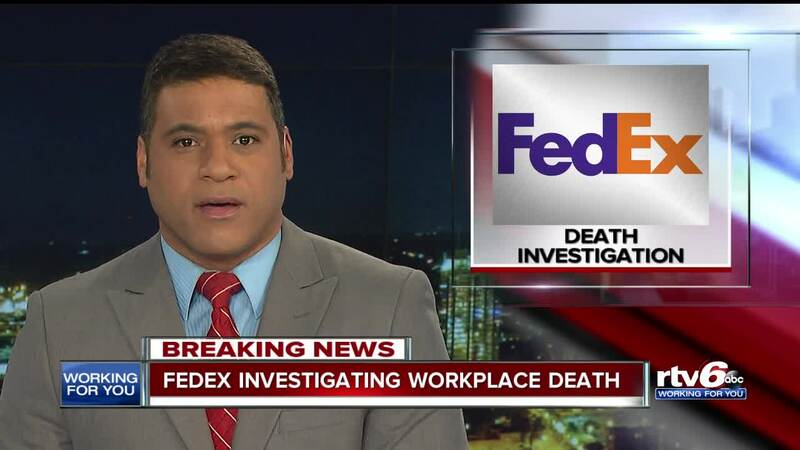 The Department of Labor tells RTV6 FedEx reported a workplace fatality sometime Friday and they have opened an inspection into the incident. They could not release any details about what happened, but they say an inspector was on site Friday. FedEx would not release any details about the incident.